A little over a year-and-a-half ago I attended a very magical night at the Strathmore in Bethesda, Maryland and treated to some of the most iconic music in gaming: The Legend of Zelda: Symphony of the Goddess. That was a sort of reminder, maybe even a realization, that gaming culture is now a big part of pop culture. While the Zelda franchise is beloved around the world, one frachise (ironically thanks to Nintendo) has surpassed those names in recognizability. Say it with me: Pokémon. Fun and games before the music started (Even if we all knew the answers). The energy in for the show was palpable. 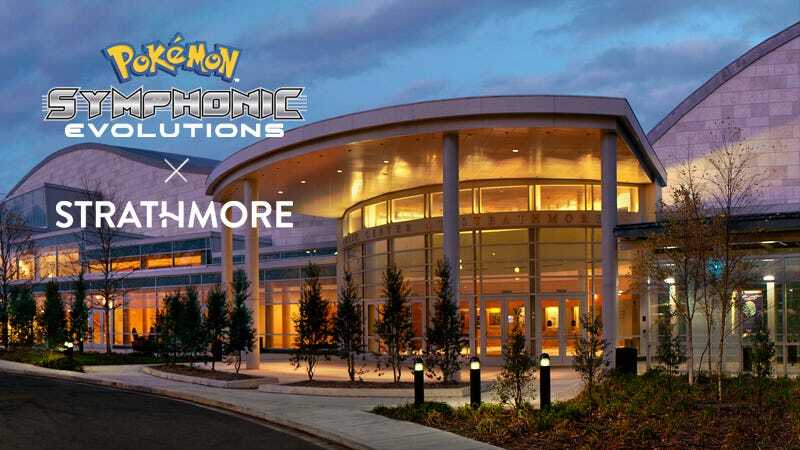 Unlike the Zelda symphony, or music-focused cons like Baltimore’s MAGFest, Pokemon is universal, which meant that the audience’s age ranged from new fans coming in with Sun and Moon to veterans who’s first journeys started with Red, Blue, or even Green. Before the show we were treated to a slideshow of “Who’s that Pokémon” with fans hooting names of Raichu and Bulbasaur in unison as the silhouettes appeared. The lights dimmed and cheers erupted as first chairs and our wonderful Conductor took the stage. If you hadn’t heard the symphonic evolutions beforehand, you’d have been surprised by the variety in their interpretations. The first moments of the theme song rallied the audience, but Team Rocket’s theme was a particularly powerful for me. The traditional instrumental characters were present, but then some more electronic elements were added and it took a great tune from an 8-bit classic to something with grandiose and drama that has to be heard to be understood. We explored every region of the Pokémon world, bar Alola as it was released after Symphonic Evolutions was put together. Some pieces were more familiar than others, but each was performed with care and conducted with love. Every so often the screen that typically showed game footage would change to show our maestro, Susie Seiter, a guest conductor to the National Philharmonic. You’d catch her focus, face beaming with intense emotion, arms shooting up and fingers carefully emoting the cadence and drama in each piece. My date and I agreed: Music aside, she was one of the highlights of the show. As a special treat we were given a karaoke opportunity when they performed the theme song from the Pokémon anime. I cannot do justice describing how engaged everyone in the audience became. Kids were bouncing out of their balcony seats, fist pumping and chanting along. We were a single voice in what felt like the greatest fandom on earth. It was a wonderful night. The sort that leaves an impression. As a Pokémon fan, I couldn’t have asked for a more loving interpretation of the series. I can only hope that we’ll see The Pokémon Company team up with these performers again in the future to bring us more in the future.